From potential contacts to loyal clients: This is the key goal that all marketers have when they create their campaigns. The importance for a qualified user database is increasingly necessary in business communication. If you still don’t have a list of qualified users, but want to obtain new contacts “Opt-in Tool” is the solution for you. 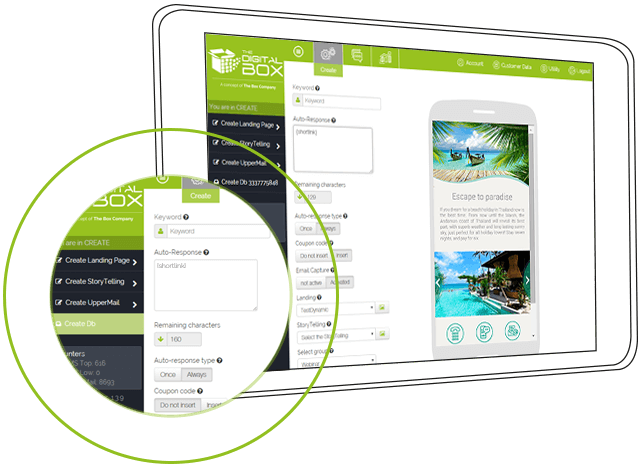 “Opt-in Tool” is a module in the ADA solution platform for automatically generating Leads. 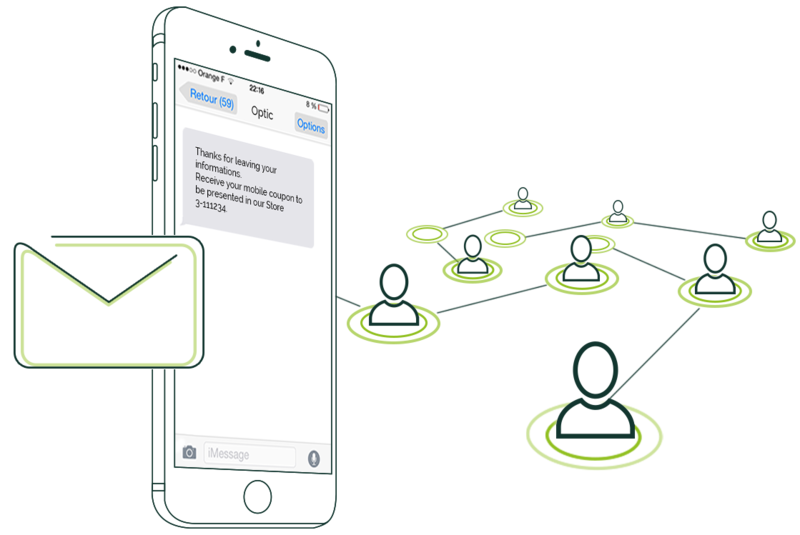 With “Opt-in Tool” adding a list of mobile numbers and obtaining user consent is simple. The information obtained in the opt-in mode is automatically archived and immediately available for subsequent mobile marketing campaigns. The user initiates the contact by sending an SMS to a predetermined number. The user simply needs to send a keyword (Your Brand name for example) that appears in advertising material at the point of sale, or that they have seen in one of your advertising campaigns on Social Networks. In response to their SMS, the client receives an automated message via their smartphone. This text message response, personalized for every campaign, might contain a discount coupon, an invitation to visit a point of sale or a request to complete a set action online (fill out a form, for example) on your Mobile Landing Page. The numbers from those surveyed are acquired and stored automatically in your database. You can create profiles for new groups of users with the certainty that the information you obtain is acquired with their consent, and therefore you can use this information for follow-on communication initiatives focused on their particular target group.